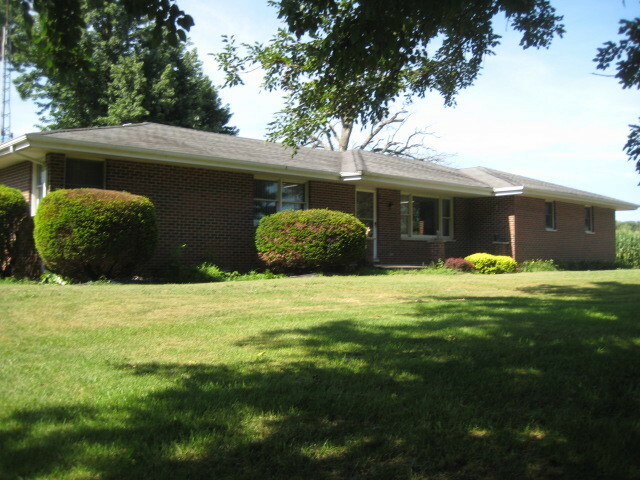 One owner home, custom built all brick ranch located on rolling wooded acres on Horse Creek, full basement, 20 KW whole house generator, 3 outbuildings - 30x30 shop with cement + electric, 40x50 Lester building, 105x66 stalled cattle shed, numerous 100 year oak trees, 700&apos; frontage on creek, truly one of a kind setting. Perfect for deer hunters, fishermen & Nature lovers!! !